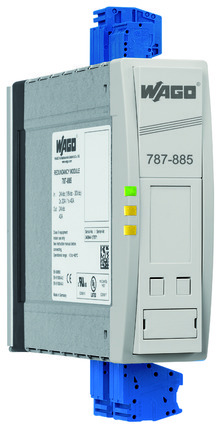 Redundancy modules are ideal for reliably increasing power supply availability. 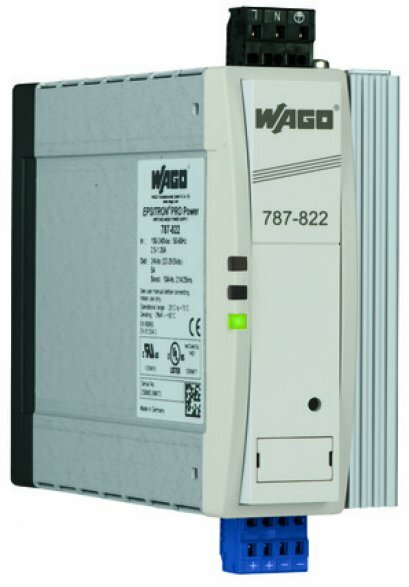 WAGO's 787-885/-886 Series (PRO Power) and 787-783/-785 Series (ECO Power) EPSITRON® Redundancy Modules feature two high-power diodes each rated at 20 A (787-885, -886) or 12.5 A (787-783) and 40 A (787-785). 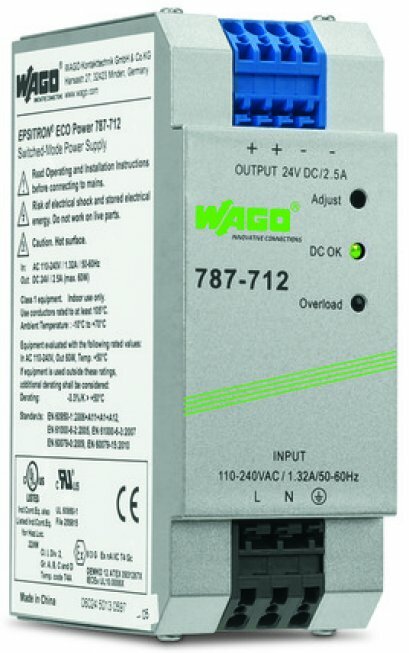 They are used to decouple two power supplies connected in parallel. 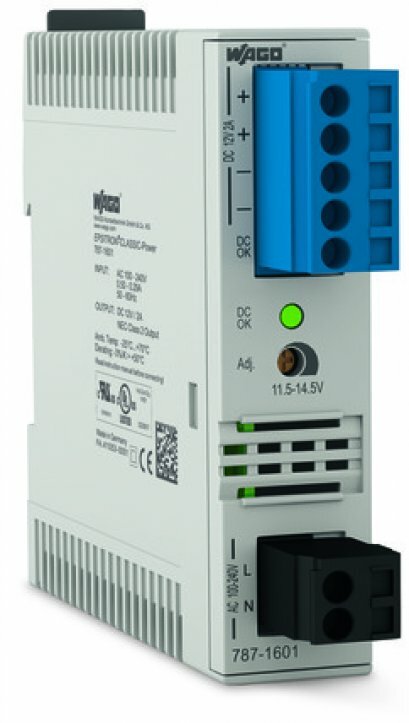 Therefore, connecting two equally rated power supplies allows machine or system reliability to be increased. The redundancy modules also provide extra output power by connecting two power supply units in parallel. 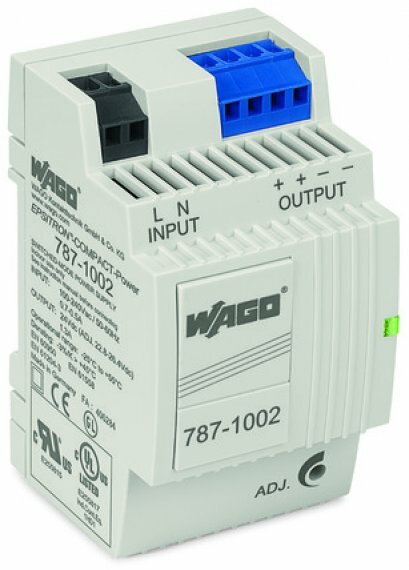 The possible failure of a power supply is indicated reliably via LED and isolated contact (787-885, -886 only). Using the redundancy module for higher availability allows a defective power supply to be replaced during operation, without downtime.